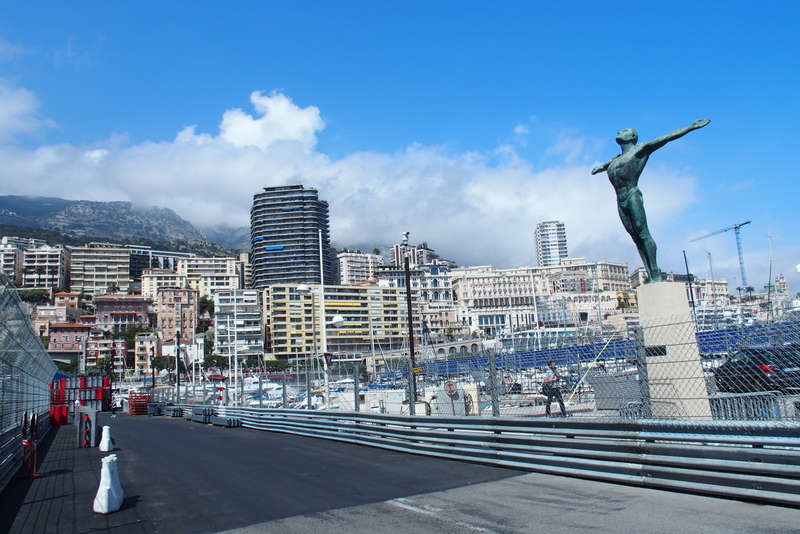 Monaco is already setting up for the big Grand Prix Formula One car race in late May. 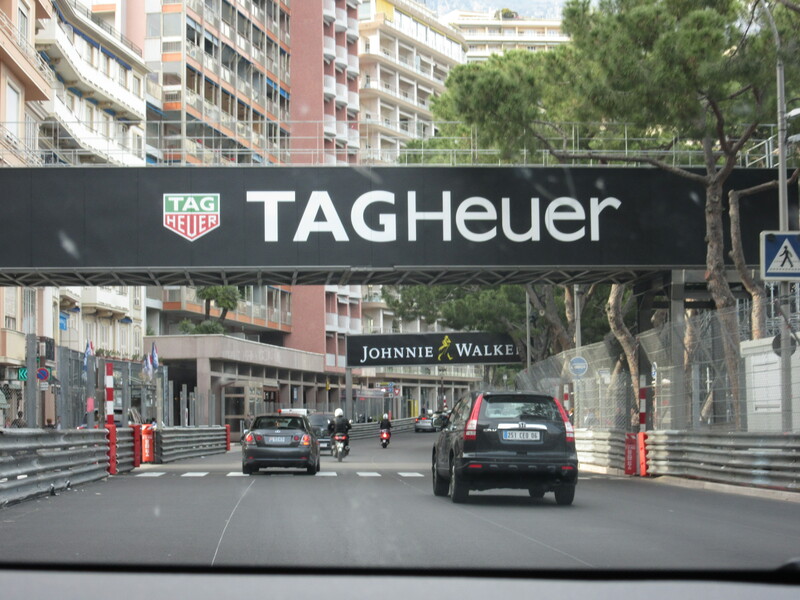 The course runs right through the town, with hairpin turns on narrow European streets. Driving on the twisting course just in front of the port. 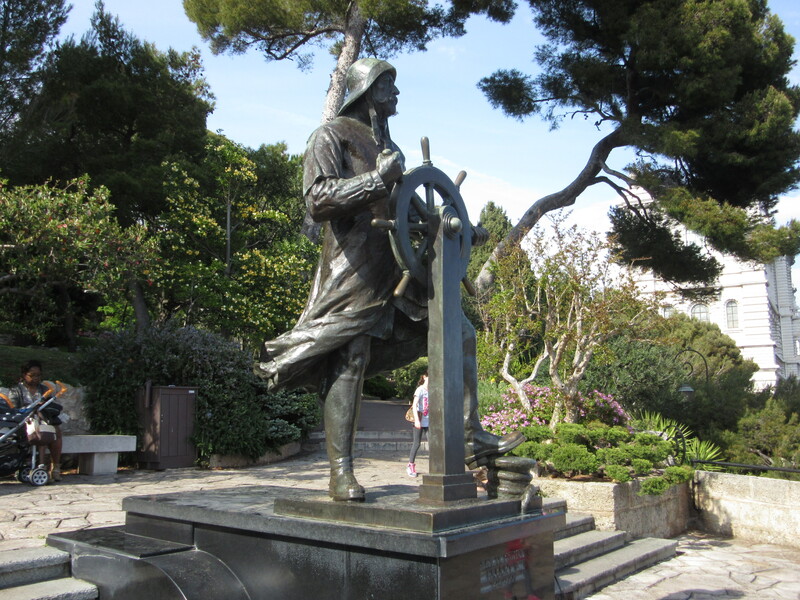 When you watch the race, look for this statue of an Olympic Diver, le Plongeur Olympique, by Emma de Sigaldi. It’s also on a 1986 stamp. And then there is the port itself, with LOTS of big boats. 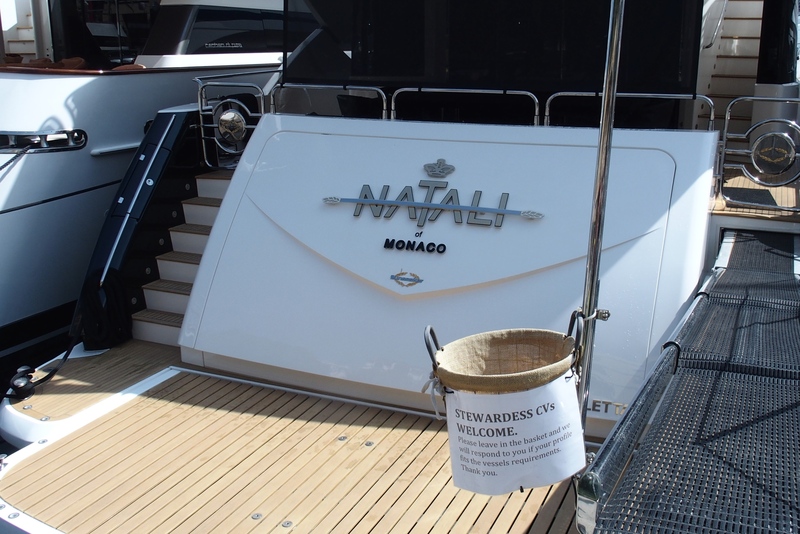 Most are in a clean-up mode with crew readying them for the arrival of their owners or celebrity guests. Boats within boats. 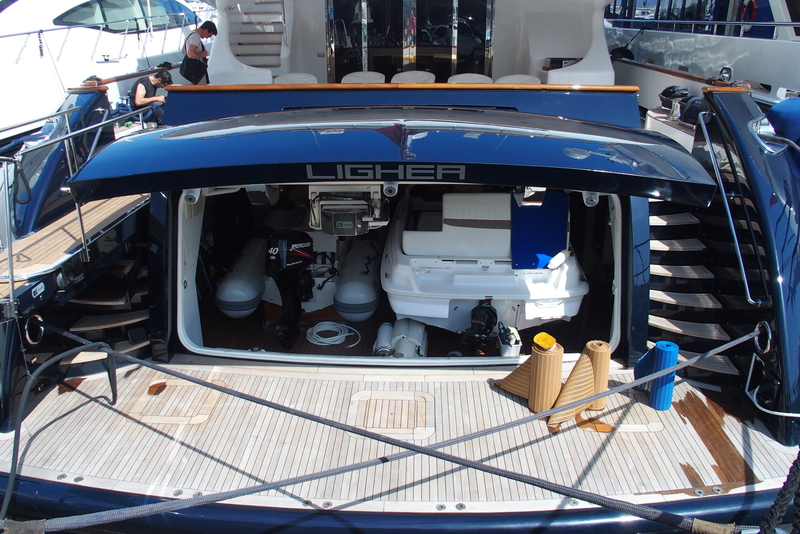 A full-size ski boat and pontoon boat, with at least one Jet-Ski off to the side. Some boats are still hiring crew, particularly pretty young stewardesses with French skills. Nancy delivers her CV. What the heck! It’s worth a shot. When we walked past two hours later, there were three more CVs…for slightly younger applicants. Why are there so many people here? 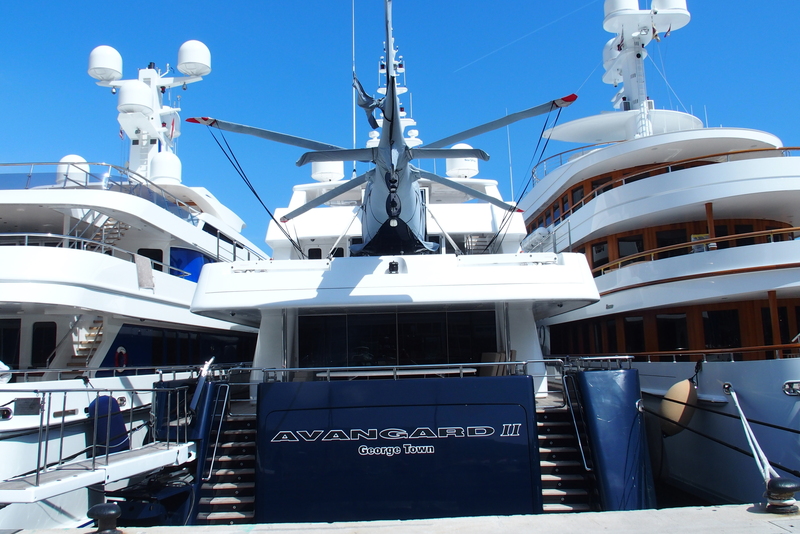 One reason is that Monaco is a tax haven. It has no personal income tax and low business taxes. And of course, there is gambling. 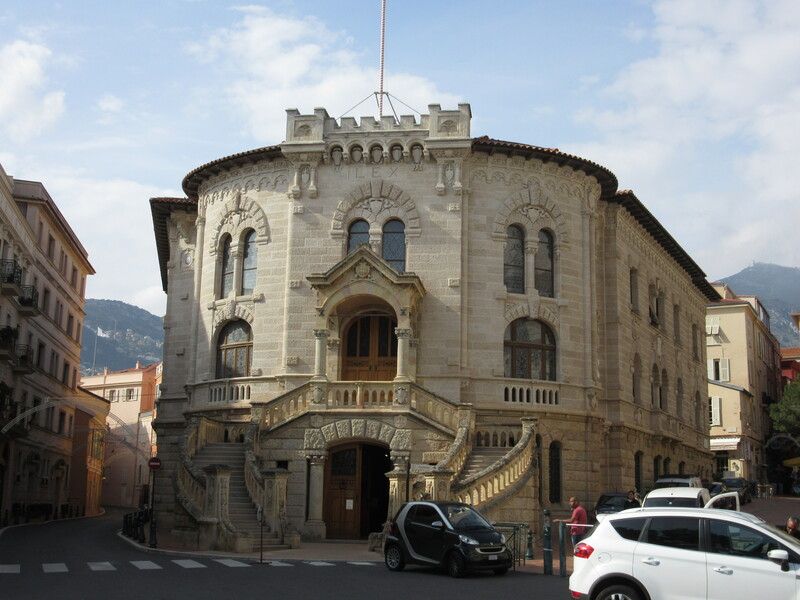 Didn’t James Bond frequent the Casino de Monte-Carlo in Casino Royale? Another view of the port from high on a hill. One of the big boats in the port belongs to the prince. Another view of the port from high on a hill. Nicely framed, don’t you think? 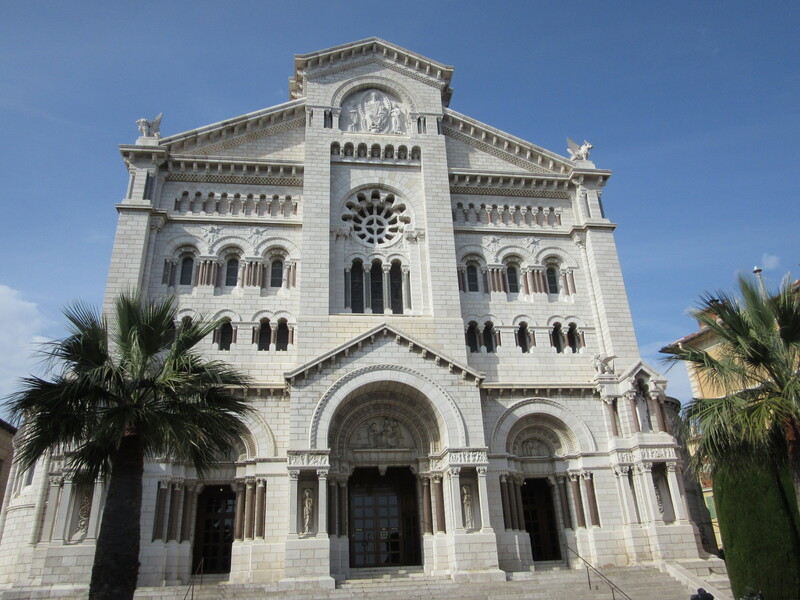 Cathédrale Notre-Dame-Immaculée, or Saint Nicholas Cathedral. Grace Kelly was married and is buried here. 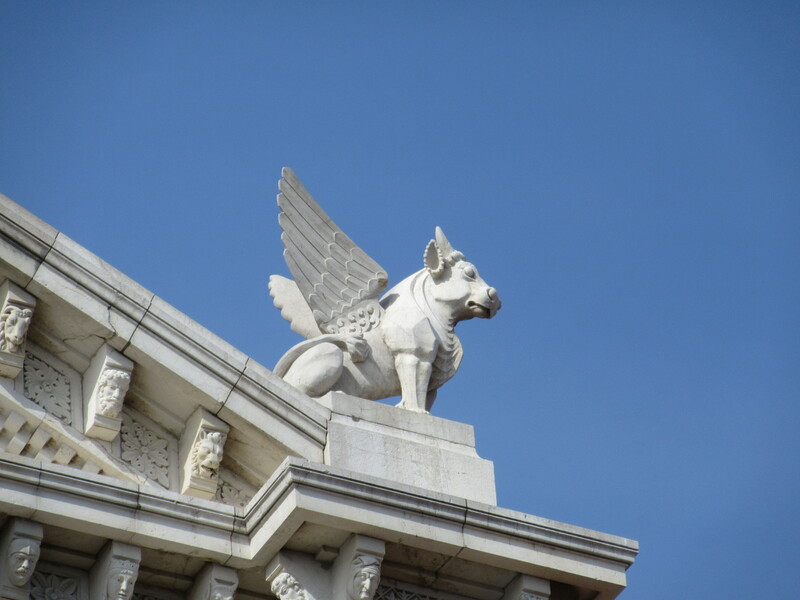 Does this gargoyle look a bit like a flying monkey from The Wizard of Oz? 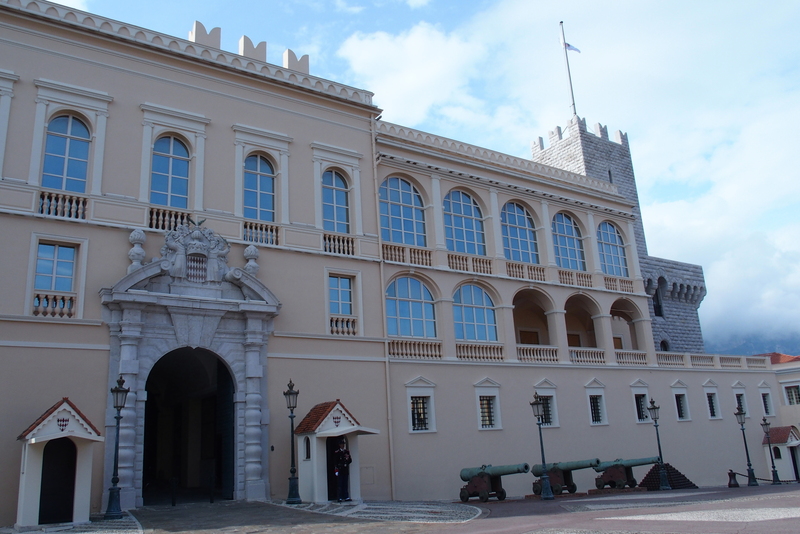 The Palais Princier de Monaco is the royal palace where the actress Grace Kelly lived after marrying Prince Rainier. Quite a difference from Hollywood. Ready to defend against any 1800s attack. The changing of the guard. No pom-poms on their shoes. 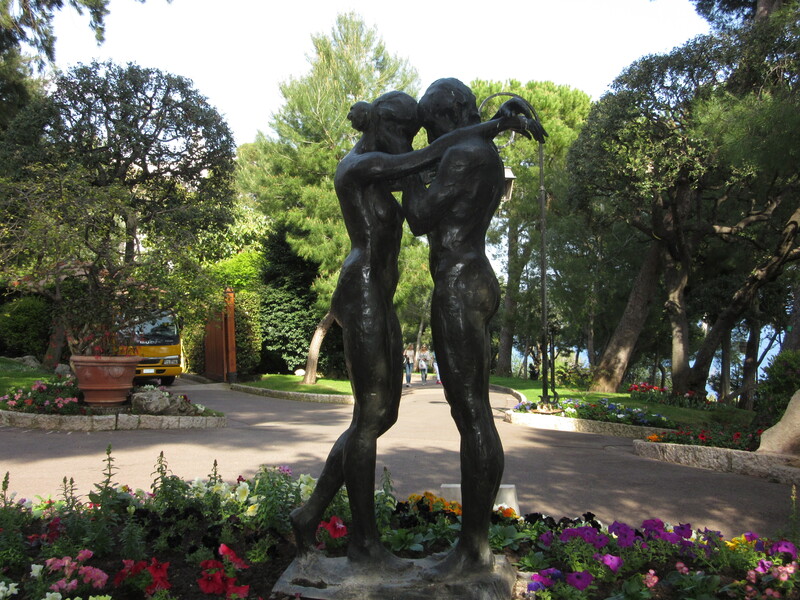 Monaco is full of gardens. 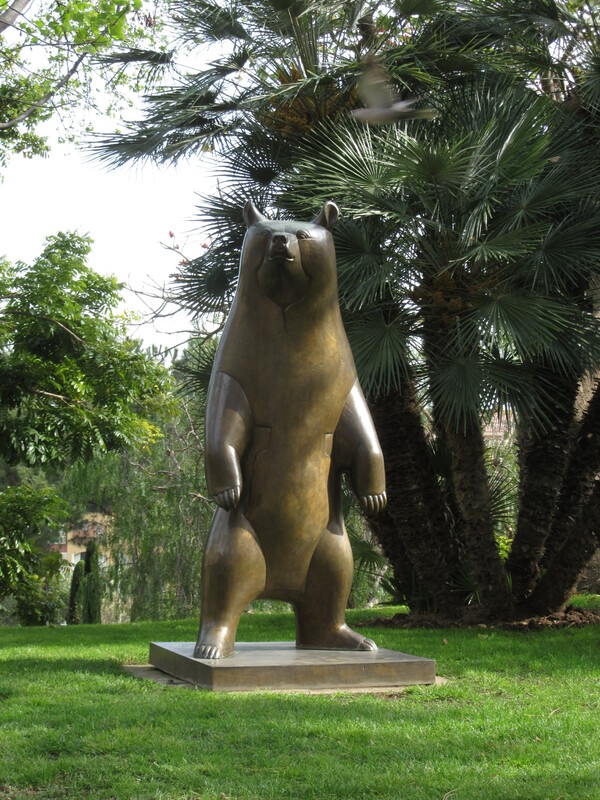 And the gardens are full of sculptures. We’ve heard of the bald eagle, the American eagle, and now the rainbow eagle. 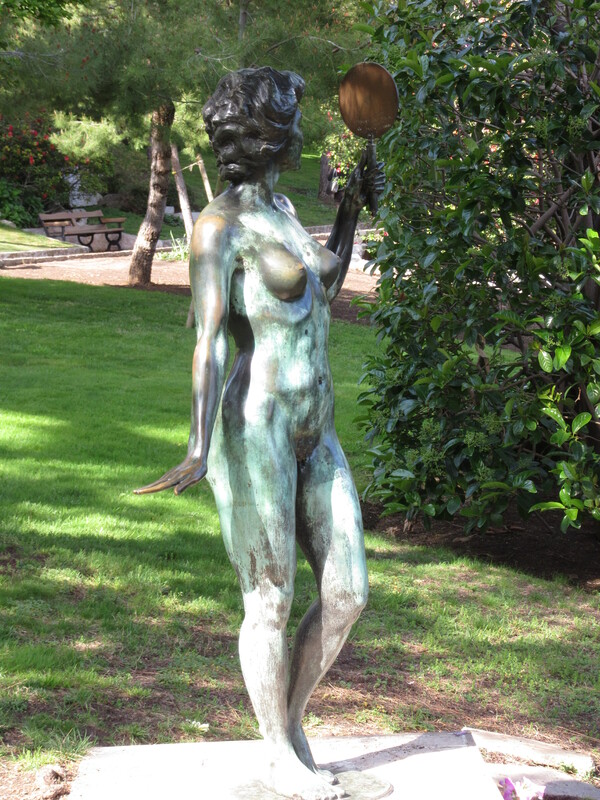 Another bronze sculpture by Emma de Sigaldi. This time instead of a le plongeur, it’s la pieuvre, an octopus. 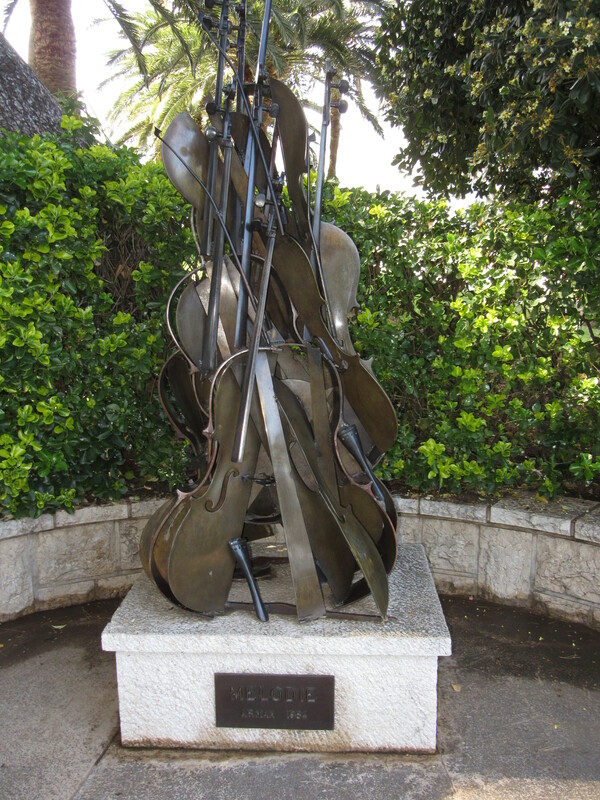 Another Arman deconstruction, like we saw in Nice and Antibes. 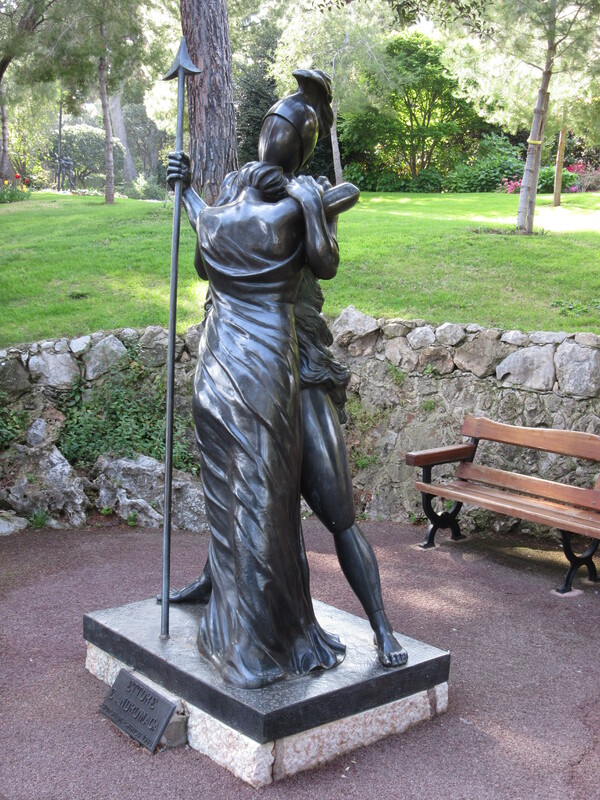 The Ligure people might have been living on the rocky peninsula of Monaco since 400,000 B.C. Later it was a Greek colony, probably from about the 6th century B.C. Then it was under Roman rule and Genoese (Genova). 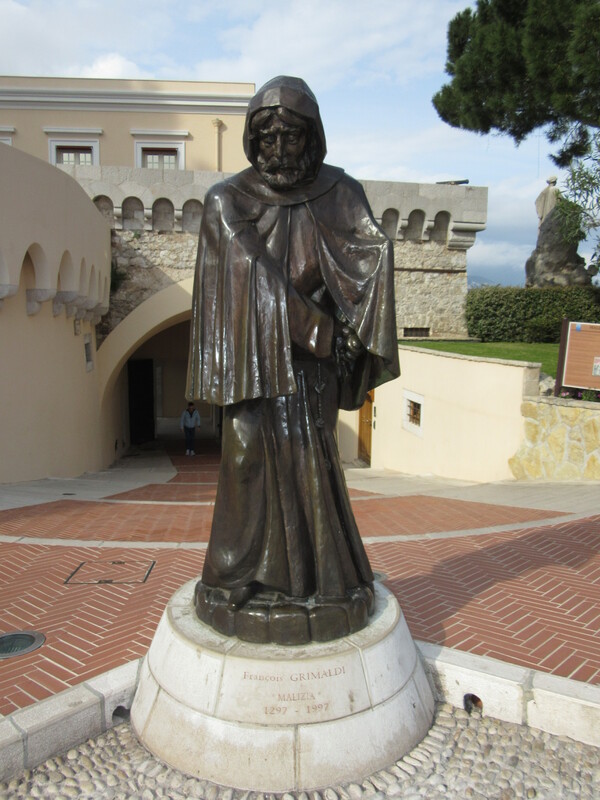 In the late 1200s, Francesco Grimaldi of Genoa snuck in wearing a monk’s cloak and let his men into the fortress to attack and take over the area. 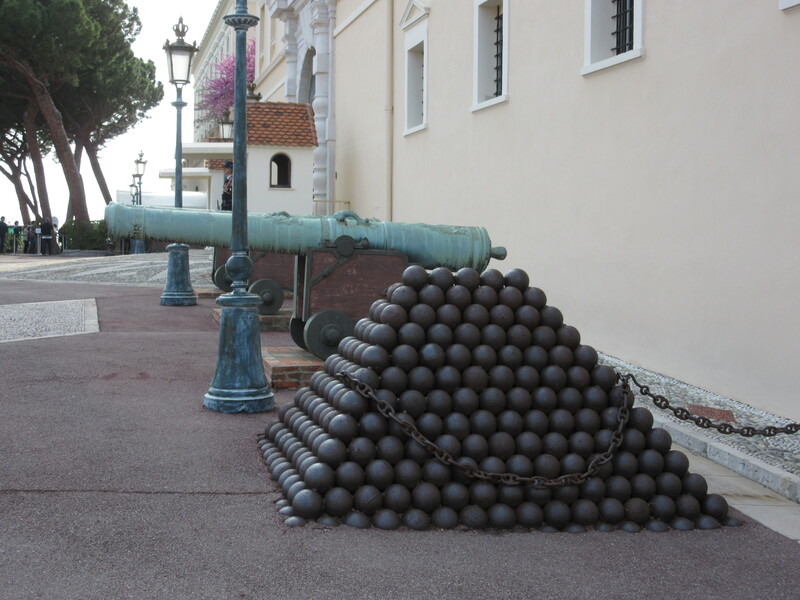 The Grimaldis have maintained control of Monaco for about 700 years. A bear, not in the woods. Why? 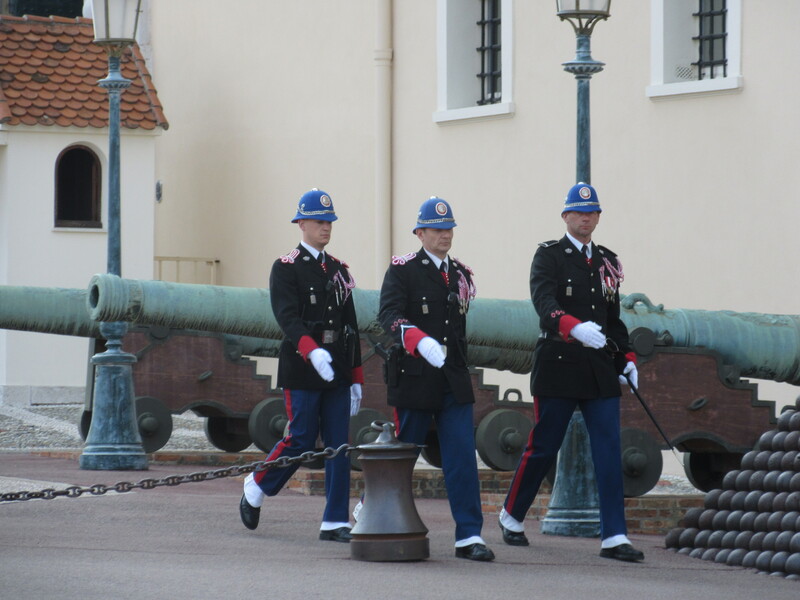 Prince Rainier III was a Grimaldi heir. He took over the throne in 1949 and made international headlines when he married the actress Grace Kelly in 1956, much to the chagrin of her fans since she stopped acting and became Princess Grace. She died in 1982, but Prince Rainier ruled until 2005. Their son Albert (same age as Michael) took over the princedom. The royal couple just had twins in December of 2014, a girl, and, most importantly, a boy. Hooray. The princedom is saved and they will all live happily ever after. 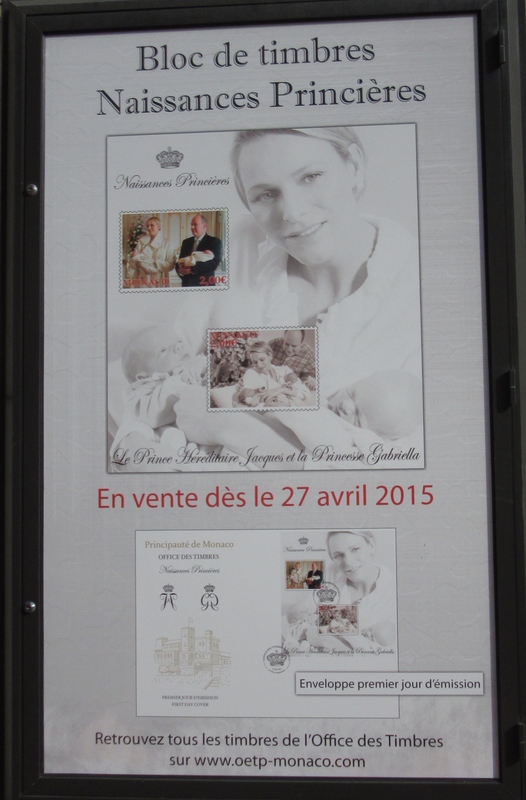 As of April 27, 2015, you can buy a stamp of the new royal family. The babies may have made the most important achievements of their lives, just by being born. 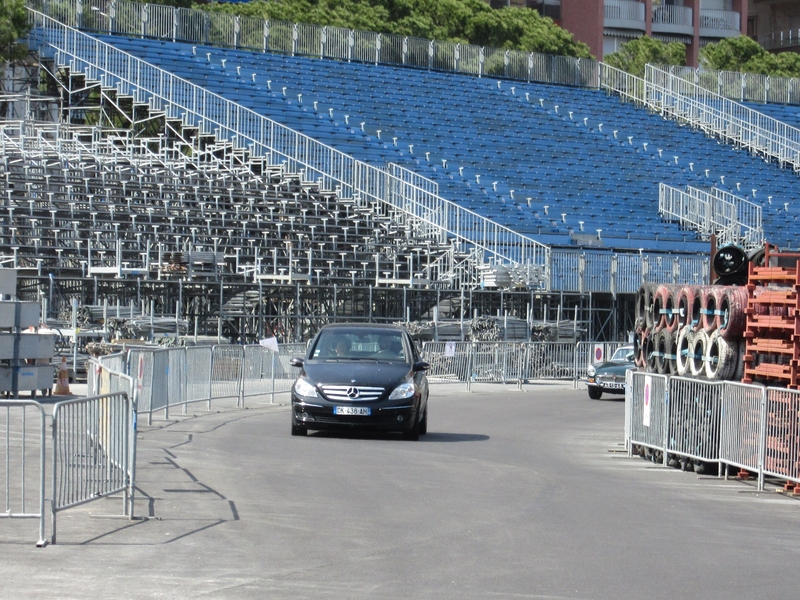 Leaving Monaco along the Formula One course. 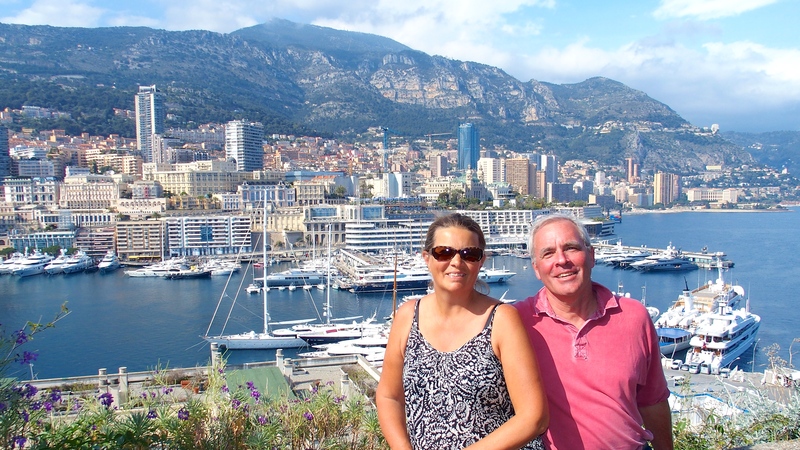 All this and we didn’t even visit the casino in Monte Carlo. We left that for Kathy and Lynn! 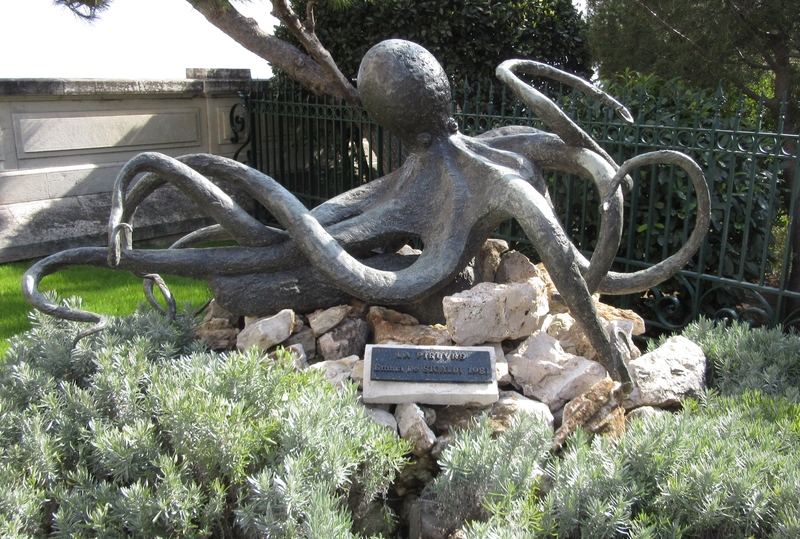 This entry was posted in Travel Journal and tagged boats, Monaco, sculptures. Bookmark the permalink.